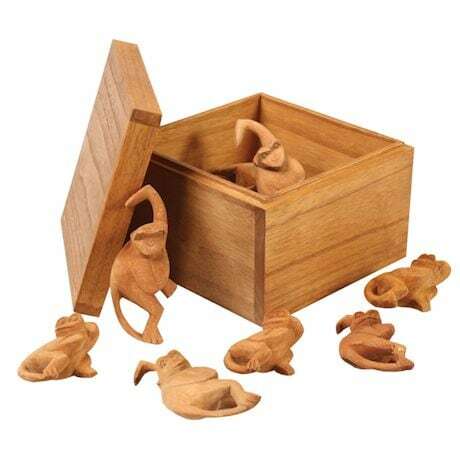 It's the game you remember from childhood with a unique artisan twist. 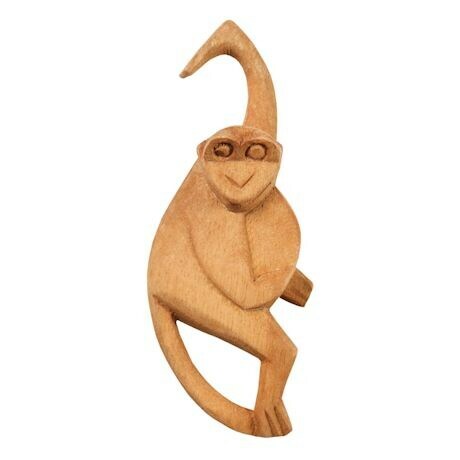 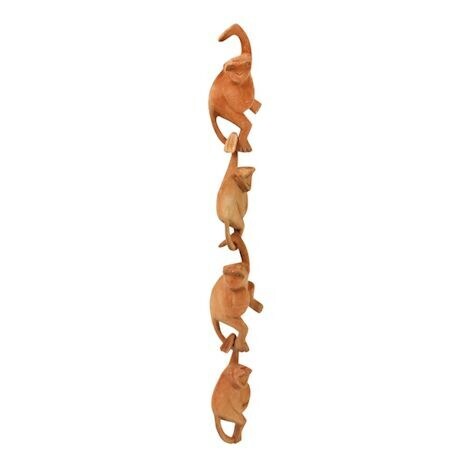 A set of 12 monkeys are handcarved so that each outstretched arm hooks through a tail loop; the simple game is an attractive touch on a desktop or coffee table. 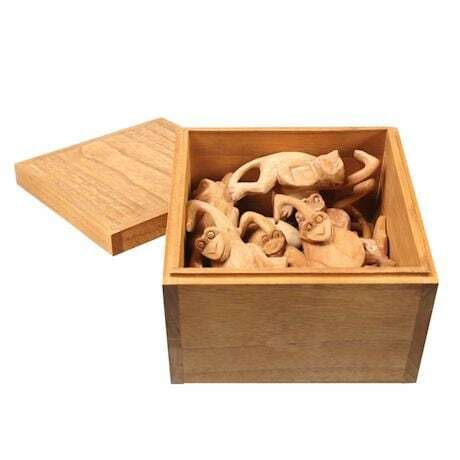 Includes a 5½"x 5½"x 3½"H wood display box.